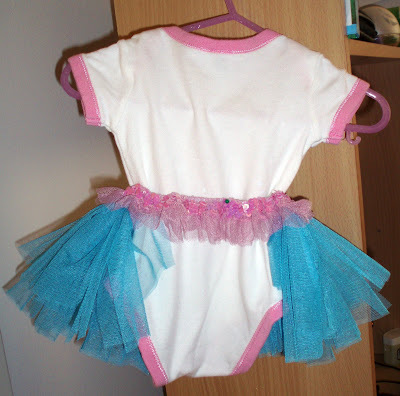 Emmy's first birthday party is coming up and Lilah will be around 3-4 weeks old and I wanted to include her in the fairy theme and made this cute tutu and paired it with a matching onesie. I still have the wings to make and I'm undecided on how I'll do them. I'm leaning towards super tiny delicate soft wings attached to the back so when she is laying on them they will not feel uncomfortable at all. 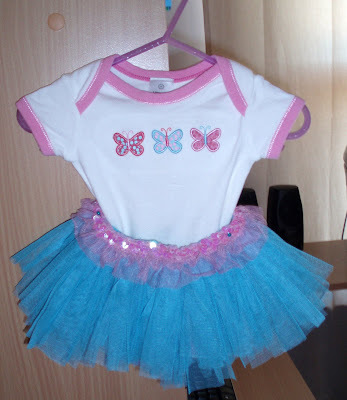 I also kept the tutu free in the back so it's comfy to lay on and it's made with elastic for easy removal without taking off the whole outfit.